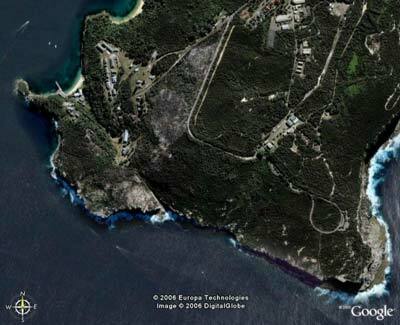 "The Leap can only be done on an incoming dive"
There are a large number of dive sites at North Head, the northern side of the entrance to Sydney Harbour. 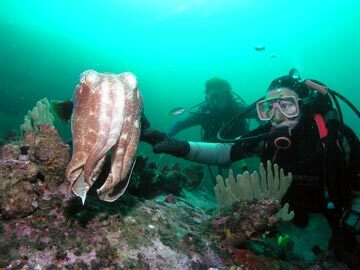 Every inch of the distance from the outer section of the entrance to the inside of the head is a great dive site. The most eastern of the sites is called Green Wheely Bin Reef. This site is located at GPS 33° 49' 35.2"S 151° 17' 54.4W" (using AUS66 as a datum - see my GPS Page from the menu at left for more information). It is very easy to find, head out the heads and go to the far end of North Head. You will see that on the top of the very high cliff there is a square structure. This is a pillbox from World War II (there are many on North Head and South Head as well as other locations in Sydney (Botany Bay and elsewhere). Run north towards this structure and drop anchor when the depth comes up from 24 metres to 18 metres. Try to drop in this area as if you go a bit shallow to 11 metres you will end up on a flat reef with little for your anchor to grip. Once you descend you will see that there is a wall that drops from 11 metres to about 18 metres. 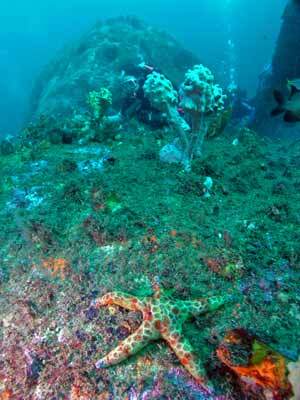 The top of the reef is covered in kelp while the deeper sections of reef are covered with sponges and sea tulips. At this exact spot, off the wall is a very large boulder and it creates a sort of gully between the wall and the boulder. At the bottom of the gully there are some large "holes" and in these there are some very large blackfish. If you head south you will drop over the boulder or small wall into 22 metres. From here the bottom slopes to 24 metres and if you go far enough, you will get to 28 metres. Out here the bottom is composed of many large rocks and boulders as well as sections of flat rock. All are covered with sponges and sea tulips. The colour is amazing. Head east or west, depending on the tides (which here can make a current that is sometimes reasonably strong). If you head east, there is a lot more of the same. Follow this for about 15 minutes and then head north back towards the first of the walls. Here you will some more boulders that create cracks and holes and some overhangs. You can go up over this wall to the main wall and you will see more huge boulders and lots of cracks, overhangs and holes. From here, head back to the west and when you get back to the anchor area, drop back to the deeper section and continue west. The reef here is very similar to the section to the east. About 20 metres along look for the remains of a medium sized Admiralty achor. This is on the western of a large rock. The anchor no longer has a stock as it has broken off. The flukes of the anchor make it reasonably easy to figure it out. 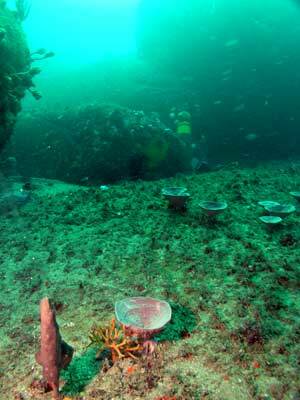 In this area in May 2007 we saw at least 60 black reef leatherjackets. Normally, you only see them in pairs and you might see two or (if you are lucky) three pairs near each other. No-one I know has every seen this many before. They were so friendly that we could touch them and they did not swim away. Once you get a little past here you will need to turn back or at least go shallow as you will probably be getting low on air and/or running out of bottom time. Go back to the wall and follow this east. Once back near the anchor end you dive by looking around or going a bit deeper for a while and then ascending to the top of the reef or up the anchor. 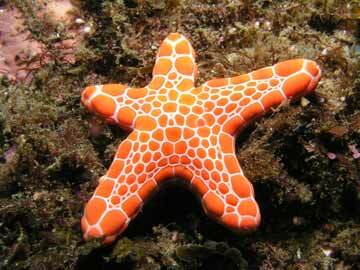 This is a great dive site, well worth visiting dozens of time. It is best dive on an incoming tide as close as possible to high tide, but even at low tide it will be a good dive.